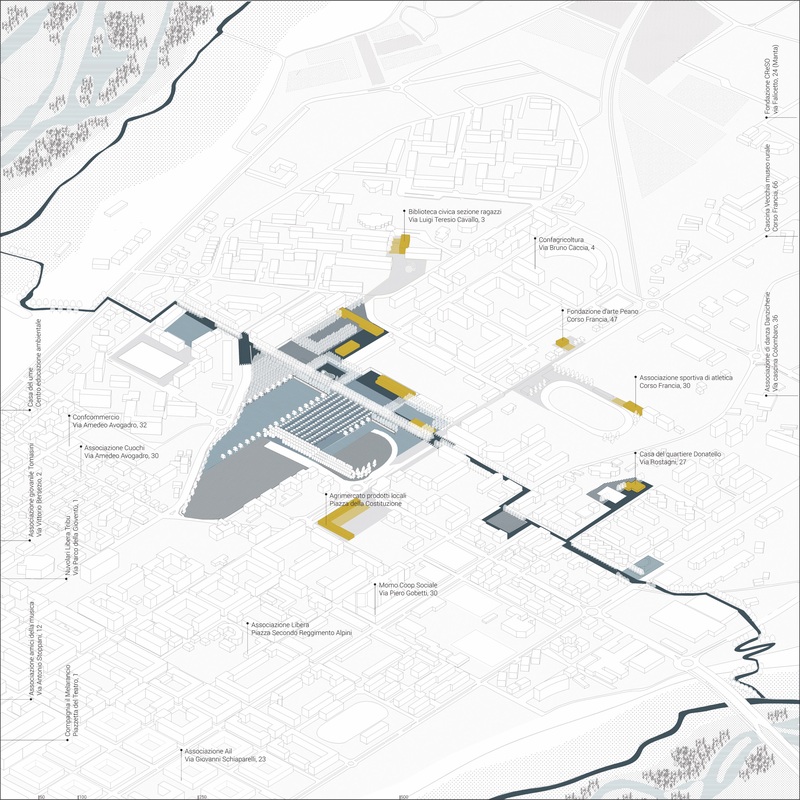 Below, we report two seminar days on the joint project of city and production that will be held at Polytechnic of Turin on 20th and 21th February. 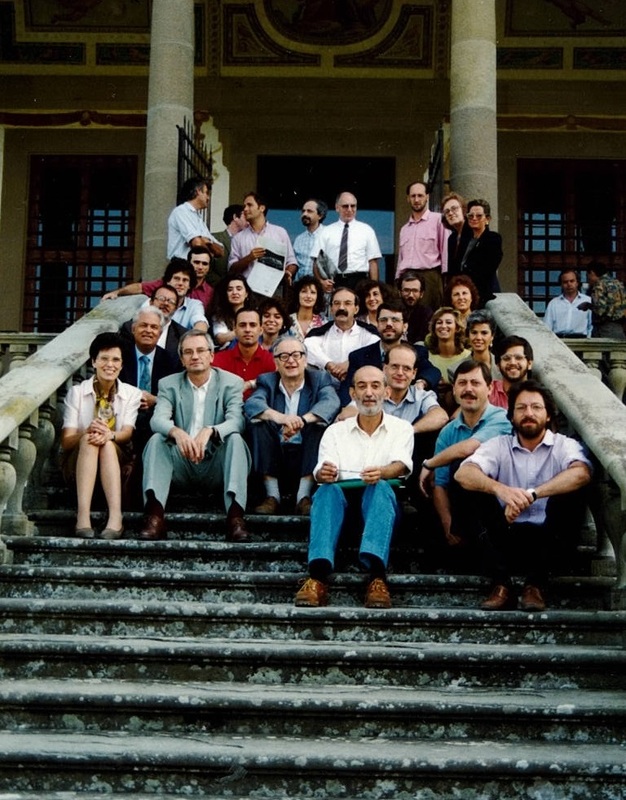 Local Development Artimino annual conference focused this year on Giacomo Becattini and the way industrial district and local development could be key-concepts in understanding and planning Economic development and human well-being. We present here few notes about some of the most interesting lectures. This post explores a comparison between Hidalgo and Becattini in a re-definition of the sector-place matrix, the connection between Giacomo Becattini school and ONU International policies for South, a comparison between Giacomo Becattini and Sebastiano Brusco. 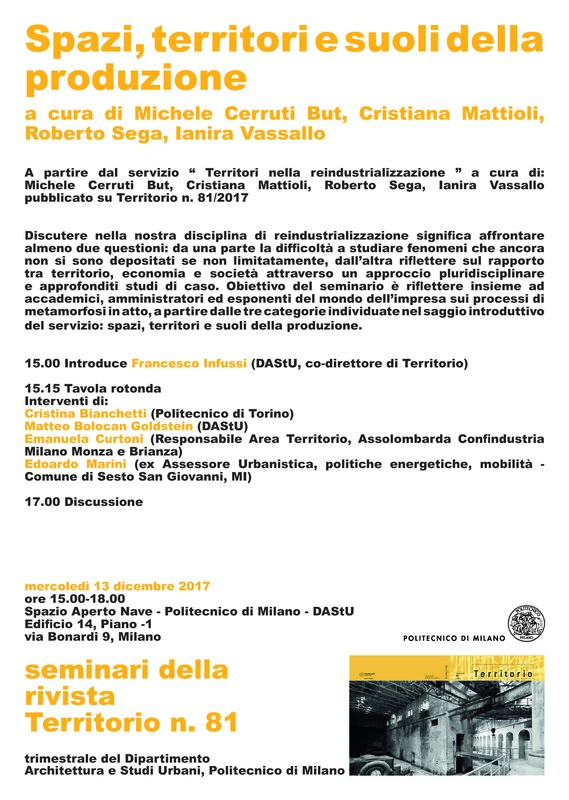 On Wednesday, December 13, will be held the seminar “Spaces, territories and soils of production”, at the Spazio Aperto Nave of the Polytechnic of Milan (Building 14_Floor -1), from 3 to 6 pm. 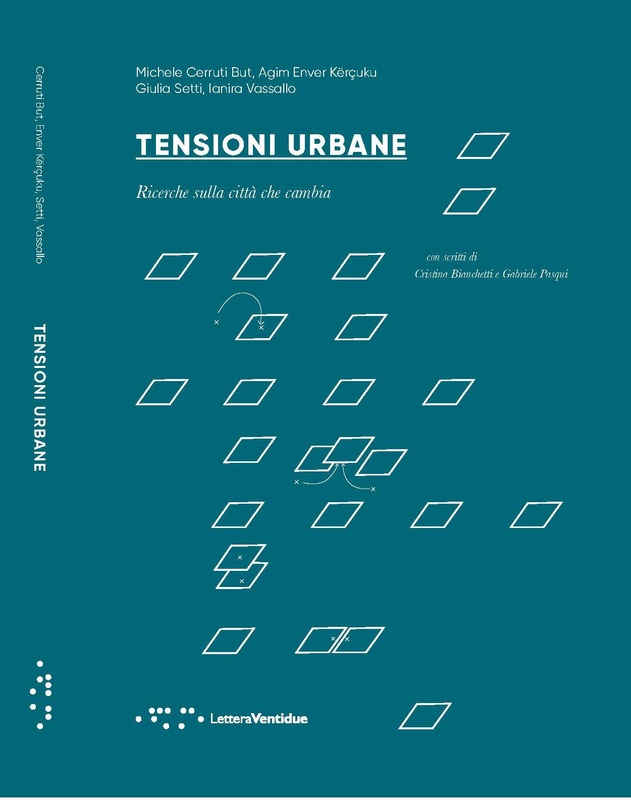 The meeting will be an opportunity to present the service “Territories in reindustrialization” (edited by Ianira Vassallo, Michele Cerruti But, Cristina Mattioli and Roberto Sega and published on issue n. 81 of Territorio magazine downstream of the homonymous Masterclass IUAV of May 2016 ) and to reflect together with academics, administrators and exponents of the business world on the processes of reidustrialization in progress, starting from the three categories identified in the introductory essay: spaces, territories and soils. A new narration for Europe? Yes, but which one? Recently, Antonio Calafati published the article on his blog: “A new narration for Europe? Yes, but which one?”. We point to the ideas he offers around the city and production’s themes. La rivoluzione 4.0: innovazione e competitività per le piccole e medie imprese. Nuovi scenari di opportunità per il “Sistema Italia”. 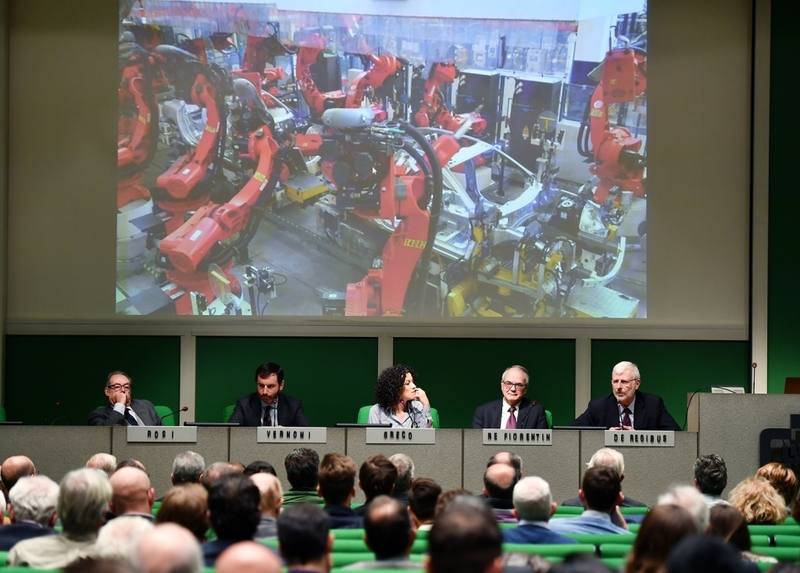 Wednesday, in the Unione Industriale di Torino building, was held the meeting “La rivoluzione 4.0: innovazione e competitività per le piccole e medie imprese”. 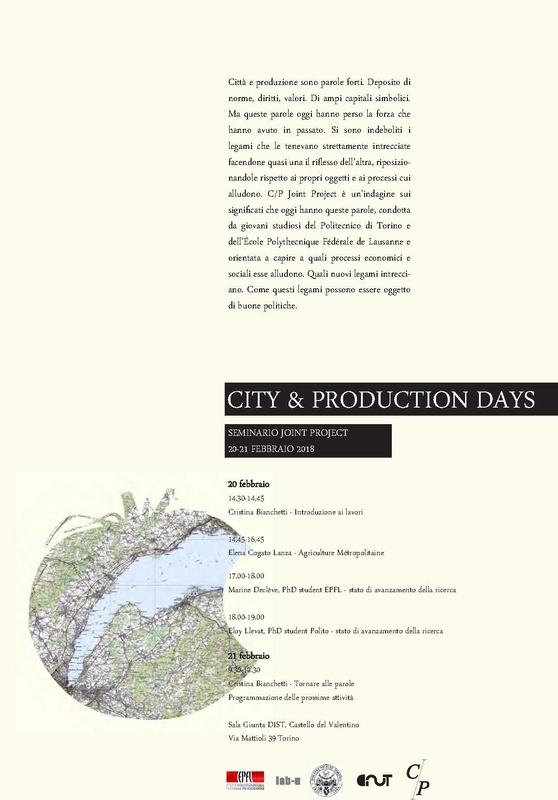 Below, we report two seminar days on the themes of city and production that will be held at Polytechnic of Turin on 13th and 16th October.